MC2 Environmental Engineering Services is a Woman-Owned business founded and owned by Carol McCullough and Matthew McCullough, P.E. MC2 specializes in providing environmental consulting and equipment for highly regulated industrial clients. The McCulloughs founded Solar Monkey, which was ultimately sold to the Hanwha Group of South Korea and became Hanwha QCELLS USA. They have been providing environmental and chemical consulting and equipment under the MC2 brand since 1998. They also own ChM2L Servicios, which provides on-site power and water equipment and services, and Measurement and Control Instruments, which provides representation to select manufacturers of industrial and scientific equipment and components centered around power generation, water, dust control, and specialty instruments since 2001. 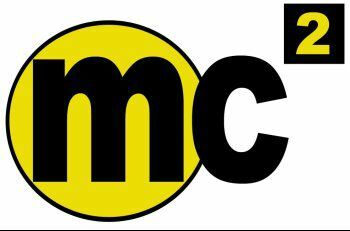 MC2 and MCI are both DBAs of Monkey Industrial Supply, Inc. Carol McCullough is President and CEO of Monkey Industrial Supply, Inc. She holds a Bachelor of Science in Environmental Science from the University of California, Riverside. Mrs. McCullough served on the Board of Solar Monkey and helped guide it’s acquisition by Hanwha Group. Matthew McCullough, P.E. is Principal Engineer for MC2 and Chief Operating Officer of Monkey Industrial Supply, Inc. He holds a Bachelor of Science in Chemical Engineering from the University of California, San Diego – A Masters of Science from Yale University, and is an alumni of Harvard Business School (OPM). Mr. McCullough is a registered Professional Chemical Engineer in the State of California and an A-Licensed Engineering Contractor with a HAZ certification. He has worked in the environmental industry since the late 1980s with over 30 publications and has specialized experience on a variety of high-profile sites with enforcement actions and threatened or pending litigation. Our StormClear storm water treatment systems specialize in treating water streams that are laden with heavy metals or industrial pollutants. The typical stormwater system is targeted around reduction of particulates, solids, and oil and grease – these contaminants are important to reduce and can be routinely handled by most stormwater control technology. StormClear takes a unit-operation approach to target contaminants such as heavy metals, N+N, and VOCs. We are the only company to guarantee that our equipment is capable of meeting strict USEPA and local stormwater effluent guidelines for all contaminants. MC2 Environmental Engineering Services provides consulting services and equipment for highly regulated and high-profile industrial clients. We have deep and specialized experience with enforcement actions and litigation. We also have significant expertise in on-site environmental compliance services for industrial clients, stormwater treatment for metals, and on-site generation of power and water.